Omlin, Gunning & Associates, P.S. The new year is upon us! As you finish cleaning up the champagne glasses and confetti, now is the time to start thinking about your tax preparation plan. This issue is packed with useful information including tips to receive a faster refund. In addition, there are ideas to manage cash flow for your business, things to consider when living with a smart speaker, and age-appropriate suggestions for teaching your children how to handle financial matters. Call if you would like to discuss how any of this information relates to you. If you know someone that can benefit from this newsletter, feel free to send it to them. Look for your tax forms. Forms W-2, 1099, and 1098 will start hitting your mailbox. Look for them and get them organized. Create a checklist of the forms to make sure you aren’t missing any. Don’t wait for Form 1095s. Once again, proof of health insurance coverage forms are delayed. The deadline for companies to distribute most Form 1095s to employees is pushed back to March 4. 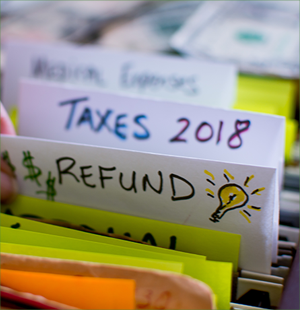 The IRS is OK with filing your return prior to receiving the proof of insurance form as long as you can provide other forms of proof. Remember, 2018 is the last year of penalties if you do not have adequate insurance coverage. Clean up your auto log. You should have the necessary logs to support your qualified business miles, moving miles, medical miles and charitable miles driven by you. Gather the logs and make a quick review to ensure they are up to date and totaled. While you are organizing your records, ride the momentum to start your filing system for the new year. Doing so will make this process a breeze this time next year! Focusing solely on sales and profits can create a surprise for any business when there is not enough cash to pay the bills. Here are five key principals to improve your cash management. Create a cash flow statement and analyze it monthly. The primary objective of a cash flow statement is to help you budget for future periods and identify potential financial problems before they get out of hand. This doesn’t have to be a complicated procedure. Simply prepare a schedule that shows the cash balance at the beginning of the month and add cash you receive (from things like cash sales, collections on receivables, and asset dispositions). Then subtract cash you spend to calculate the ending cash balance. If your cash balance is decreasing month to month, you have negative cash flow and you may need to make adjustments to your operations. If it’s climbing, your cash flow is positive. Bonus tip: Once you have a cash flow statement that works for you, try to automate the report in your accounting system. Or even better, create a more traditional cash flow statement that begins with your net income, then make adjustments for non-cash items and changes in your balance sheet accounts. Create a history of your cash flow. Build a cash flow history by using historical financial records over the course of the past couple of years. This will help you understand which months need more attention. 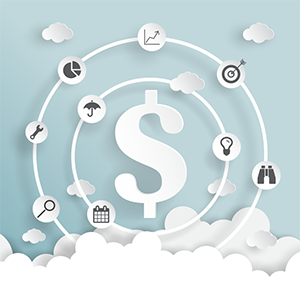 Forecast your cash flow needs. Use your historic cash flow and project the next 12 to 24 months. This process will help identify how much excess cash is required in the good months to cover payroll costs and other expenses during the low-cash months. To smooth out cash flow, you might consider establishing a line of credit that can be paid back as cash becomes available. Reduce the lag time between shipping and invoicing. Re-examine credit and collection policies. Consider offering discounts for early payment. Charge interest on delinquent balances. Convert excess and unsold inventory back into cash. Manage your growth. Take care when expanding into new markets, developing new product lines, hiring employees, or ramping up your marketing budget. All require cash. Don’t travel too far down that road before generating accurate cash forecasts. And always ask for help when needed. Understanding your cash flow needs is one of the key success factors in all businesses. If your business is in need of tighter cash management practices, now is the perfect time to get your cash flow plan in order. Is it spying on me? Privacy is a major concern regarding smart speakers. Once powered up and connected to your Wi-Fi, it is listening in your home 100 percent of the time. Listening is its core function — it needs to hear you say the “wake” word to then process your question or command. Amazon claims that it only starts recording once it wakes up, but there is no way to know for sure. Ultimately you need to decide if the benefits of owning a smart speaker outweigh the risk of potentially giving up some privacy. Will I lose my manners? A smart speaker doesn’t require you to say “please” and “thank you” to get what you want. A simple command is all that is required. 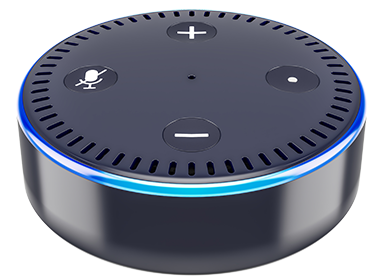 The Atlantic published an article pondering how giving verbal commands to a smart speaker with the “casual rudeness” that is required could possibly change the way you talk to people over time. A good defense against losing your politeness is to be self-aware of your speech to others. According to a study by the European Journal of Social Psychology, it takes 66 days to create a habit. Set a reminder on your smart speaker (wink) for two months from now to politely remind yourself to pay attention to your vocabulary. While there is no shortage of opinions regarding the use of smart speakers in the home, it’s up to you to decide if it fits with your lifestyle. If you are torn, Amazon and Google have smaller versions (Echo Dot and Google Home Mini) that are relatively inexpensive. You can try it out for a while and see how you like it. If it goes well, you can spring for the larger model and move the smaller version to another room in the house. If it goes poorly, you can sell it or give it to someone else. High school – Explain the job application and interview process. Work with them to get a part-time job to start building work experience. Add additional expense responsibility by transferring direct responsibility for things like gas, lunches and expenses for going out with friends. Introduce investing by explaining stocks, mutual funds, CDs and IRAs. Talk about financial mistakes and how to deal with them when they happen — try to use some of your real-life examples. If college is the goal after high school, include them in the financial planning decisions. Knowing about money — how to earn it, use it, invest it and share it — is a valuable life skill. Simply talking with your children about its importance is often not enough. Find simple, age specific ways to build their financial IQ. 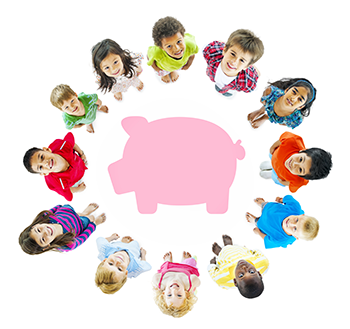 A financially savvy child will hopefully lead to a financially wise adult. ← Taking Out a Loan?